Shop Knits and That for artistically handcrafted accessories that are sure to please. Why not express your personal style by choosing an accessory that matches your mood and captures your inner beauty! Are you interested in learning to knit or advancing your skills? 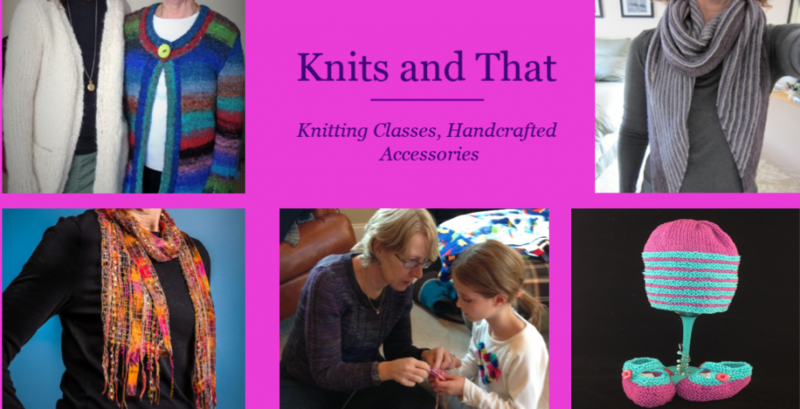 Check out my knitting classes; I offer a variety of classes for adults and children. Note that classes are held in Acton, MA. Contact me if you would like more information on products or classes or to place an order. NEW: I’ve updated my class schedule for the Winter, 2019 – go to Classes for more information.